​DESCRIPTION: A poem of a father's love illustrated by fifteen different animal fathers loving their babies. 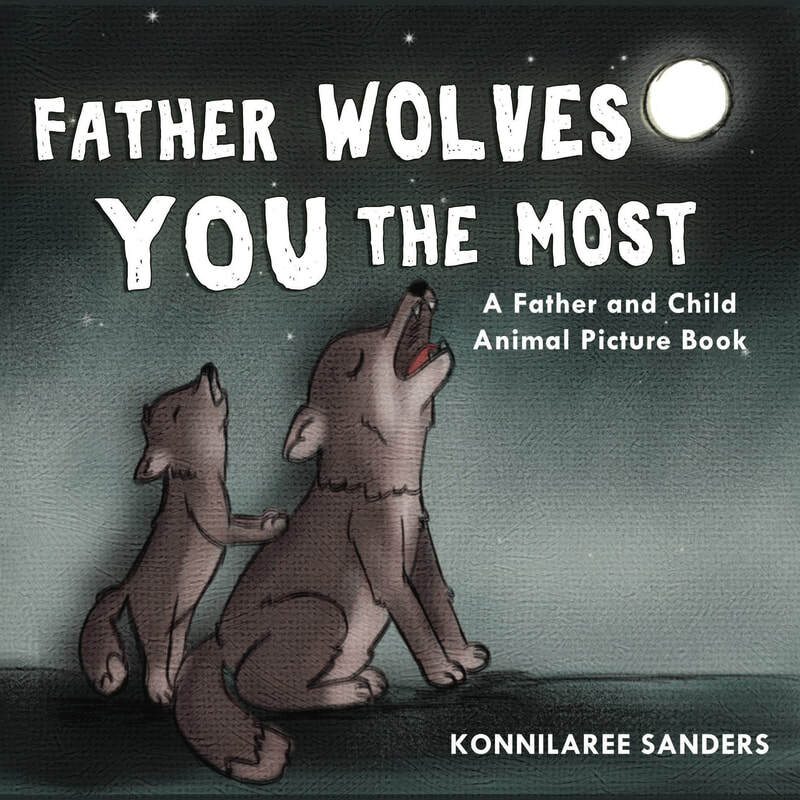 About "Father Wolves You Most"
​Fathers express their love for their children in so many ways. They love, protect, teach, and nurture. This book is a poem that reflects just a fraction of that love with fifteen adorable animal pairs. After I started drawing moms and babies, I thought dads deserve to be showcased too. I wanted to include animals that are well know as good dads; seahorses and penguins, the first who births their children and the other who tends to the eggs. Also as a special note, The last animal pair is a donkey and goat. I want to highlight at least one other type of family connection. They idea was inspired about a story of a rescued donkey and goat who were separated and became so depressed they wouldn't eat until they were reunited. I loved that connection. Speaking to that, I know there are more family types than mom/dad/baby and each combination of a family is to be celebrated and cherished. Grab any family member and share the love.